I am not naturally a joiner of things, a quality that has mostly kept me out of party politics. As a teenager I did some volunteering for a local Liberal candidate, and in my 20s I managed the campaign office for an NDP campaign, but otherwise my experience of the electoral process has most intensely involved the non-partisan administration of elections technology: I was the person tallying the votes, with no stake whatsoever in who they were for; the idea that I’d be involved on the other side of the fence, so to speak, was anathema. The idea that I’d join a political party, and say “in this I believe,” and, by implication, “in that, I don’t,” seemed like the kind of commitment that other people could take on; I was comfortable with my position as a disengaged independent, with a vague waft of progressiveness, who couldn’t be tied down. And then some things happened. First, Peter Bevan-Baker, the leader of the Green Party of PEI, got elected in 2015. While politically a momentous exercise, and a great credit to the electors of District 17, the enduring image of election night 2015 was watching my friend Roy Johnstone, one of the pillars of Peter’s campaign, when victory was declared: with television cameras focused on him, Roy broke out into the kind of overwhelming ecstatic joy that I’d never seen the likes of. After Peter assumed office as an MLA, and once he’d got a chance to get his sea legs, I invited him for coffee. We’d only met socially a few times, and I wanted to learn more about him, about the party and, to be honest, about why the smile on Roy’s face had been as indelible as it was. The person I met was kind, generous with his time, honest, thoughtful, a good listener, and not at all the kind of zealot I imagined that the leader of a political party must have to be. Then, two years later, Hannah Bell was elected on the Green Party ticket here in Charlottetown, showing that Peter’s victory wasn’t a fluke, and that Islanders were starting to get behind the ideas espoused by the Green Party in greater numbers. It wasn’t so much that these Green measures allayed my ideological concerns, but rather they suggested to me that, while perhaps not “post-ideological,” the Green Party did not exist at a fixed point on the traditional political spectrum. In parallel to all of this, I found myself influenced by my son Oliver’s embrace of the Green Party. Oliver is one of the most intuitive people I know, and when he believes in something, I pay attention. Last summer Oliver started to go to Young Greens meetings, and this spring he joined both the provincial and federal Green parties. Watching Young Greens in action, and listening to Oliver interpret the Green approach, opened my eyes. Then, last fall, Bill McFadden ran for Mayor of Charlottetown. The second point that Bill made is that there’s no “us and them, there is only us.” He put this emphatically and eloquently, in a way that I cannot properly do justice without a transcript, but I appreciated both his message and his ability to communicate it. I realized that, as regards politics and government, I’d been carrying around the notion, for many years, that there was a class of people in charge of things, and then there was the rest of us. Bill, both through his words and his actions, running for Mayor, jogged me out of this, and made me start to feel complacent, and as though placing myself, whether through determination or lethargy, as apart from the greater “us,” wasn’t a tenable position. At roughly the same time the IPCC report on climate change was released. The report galvanized me. Not because of anything in particular to do with the science, or how much the planet is, or will warm, but by the concrete statements accompanying it that we need to move, in essence immediately, to a carbon neutral economy. All previous messaging on this topic–the rabbit’s nest of “20% reduction from 2010 levels by 2030” and innumerable variations thereof–made no impact on me whatsoever, as they were abstractions built on top of abstractions. Stop burning carbon now was something I could wrap my head around. The question then became: how? Over the winter we had an Efficiency PEI-sponsored energy audit of our house. While the results have proved a helpful guide toward making renovations to the house to make it more efficient, I was struck by the fact that the energy consumption of our house, if we spent multi-thousands of dollars and completed every single recommendation on the report, would go from 197 GJ/year to 126 GJ/year. That’s not nothing, but it’s also not carbon neutral. It’s nowhere near carbon neutral. And yet I’m told that I need to be zero carbon by 2050 at the absolute latest. Something didn’t square. We need a real plan and I need real help. This wasn’t it. At least not boldly enough. Late this winter, before the election was called and perhaps at the last possible time that he would have any free appointments on his calendar, I invited Peter Bevan-Baker to coffee again, and we chatted at Receiver Coffee for almost 90 minutes. Two things emerged from our chat. First, the Green Party is not an anti-capitalist party; it believes in the market. 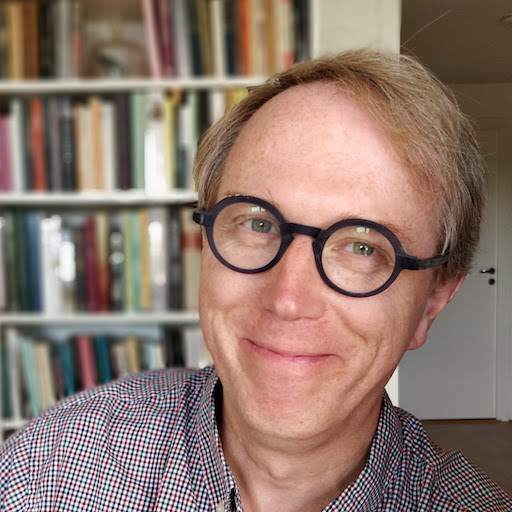 But, as Peter told me, there are many ways of practicing capitalism; Nordic capitalism and American capitalism, for example, are two very different things. Second, Peter made it clear that, among the issues the Green Party prioritizes, process–the way we govern ourselves, how policies are developed, how consensus is arrived at, how collaboration happens–has as equal a seat at the table for Greens as anything else. In other words, perhaps one of the things standing in our way is not so much our ideas and our vision, but the way that we develop those ideas and that vision, and the way we bring them to fruition. While my anti-capitalist gut is still grappling with the notion of capitalism and whether it’s a socially just way of running the world, I realized that, by maintaining my lackadaisical attitude toward political participation, I wasn’t really doing anything about that in the first place. And I began to wonder whether setting aside my allergy to a particular ideology in favour of supporting a way of working that might, if not eradicate it, at least see it practiced in a sustainable fashion, might be palatable. The question then became: what if I decided to abandon that lackadaisical attitude and get involved? What political party’s values would map to my own? I began to think that maybe Green values were my values. And then I met Karla Bernard. 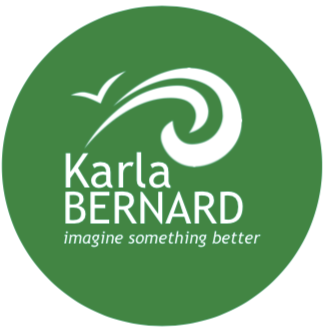 Karla is the Green Party candidate for District 12, Charlottetown-Victoria Park in the April 23, 2019 Provincial General Election. When it became clear, in mid-March, that an election was in the air, Oliver and I invited Karla to come and chat with us. We had a wide-ranging conversation about the Green Party, about Karla’s involvement as Shadow Education Critic, about social justice, about her work as an educator and her interest in mental health. She professed surprise at the situation she’d found herself in, never having imagined that she’d take on a political life. She emerged as an intelligent, committed, humble, engaged person. She seemed, as a parent, as someone in my neighbourhood, more like a regular everyday person than a slick and practiced deliverer of campaign messages. I resolved to vote Green in the election based on the strength of her character, and on everything else I’d learned about the Green Party and its approach. And I resolved to support Karla’s campaign in any way I could. Then, last Wednesday, I joined Oliver at a “Green Drinks” meeting in the pub at the University of PEI, my first such event as anything more than a chaperone for Oliver. I was heartened by the people I encountered there: candidates, members, and the curious. Smart people. Passionate people. And people pleasantly free of the rancour that it’s so easy to fall into in opposition politics. If I was going to Central Casting and looking for a group to run things, I’d happily accept the diverse group of people in that room if they were offered for the role. On Thursday morning, I followed through on a commitment I’d made to Karla to look into making up some campaign buttons for her, and I ended up at the Provincial Green HQ on Water Street where I ran into my old friend Cynthia King and the party’s Election Readiness Coordinator Jordan Bober. “Is there anything I can do to help the provincial campaign?”, I asked them. Remember how there’s “only us?” It turns out that’s true. By the time I left, 30 minutes later, I’d made a video about how to use the button making machine. And I’d agreed to help maintain the Green’s campaign website. And because they were going to have to share the to-be-released-on-Monday party platform with me as part of this work, I thought it only right that I join the party. So I did. Which is how I found myself hunkered down in a corner of Peter Bevan-Baker’s district headquarters in Crapaud yesterday afternoon fiddling with CSS and resizing images. And how last night Oliver and I spent 3 hours making buttons for Karla at Provincial HQ. As a casual cynic, as an introvert, as a non-joiner-of-things, I never suspected I’d be involved and committed in an election campaign. But I’ve decided that it’s time to start believing in something, and the Green approach to politics is where I’ve set down: when I read the list of Green values–active citizenship and self-determination, a just society, living within our financial and ecological means, grassroots democracy, a culture of peace, local self-reliance–I see my own values reflected. It feels good. It feels right. And of course it feels deeply weird too. I will, indeed, be doing whatever I can to ensure that the promise of a Green government comes true, and to ensure that Karla Bernard, our District 12 candidate, is part of that team. This has been perhaps the longest and most rambling candidate endorsement ever. But I humbly ask you to consider joining me. Written March 31, 2019 at 11:28 a.m.
I’m going to send Ole Hammarlund a message to see how I can help the D13 campaign. There is ‘only us’, and if we want change in this province, we all need to help out. Oliver shared your blog with me this morning. I told him that I think he was a big influence with your involvement. Great post and thank you for being so clear on your ideas. Consider it done. It's time. Like you, I never thought I'd ever join a political party, but when I finally did, it was GREEN! Hannah Bell was my former boss and the best person I ever worked for. When she resigned to run for the Green Party, I decided to join the party and her campaign. I also really like the PPB does politics. He is intelligent, respectful, and educated. Thanks for this, P. RUK. It's prety much the way I think about politics. If you want to volunteer on the Green campaign, you can sign up here. Thank you for such a thoughtful articulation of what I have been feeling Peter. I too have joined the Green Party (first time joiner) and am helping D2 candidate Susan Hartley. Thank you Peter, for the wonderful post. I too support Karla. Exciting times!